The benefits of showcasing Calderdale on screen will lie at the heart of the council’s tourism conference. This year’s conference, held at Hebden Bridge Town Hall tomorrow, has a theme of filming and the event will look at the economic benefits of using the borough as a location for films and TV programmes. The rugged beauty of Calderdale has already provided the backdrop for the award-winning Last Tango in Halifax and Happy Valley. 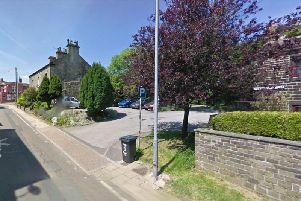 And crews will descend on Calderdale once again to film a major new primetime drama, The ABC, due to hit screens next year. The drama will be based in a fictional multicultural secondary school, offering a funny and revealing insight into the daily drama of the teachers, teenagers and families whose lives and cultures collide. It is created by award-winning writer Ayub Khan Din, who penned East is East, and is being produced by Lawrence Till, whose credits include Shameless and Mr Selfridge. Calderdale Council, Creative England and The Forge Entertainment have joined forces to bring this huge filming opportunity to the area and maximise the benefits for local people. The former St Catherine’s School in North Halifax will provide the backdrop for the school scenes, as well as a base for the film crew. Scenes will also be shot in locations across Calderdale, showcasing the borough’s fantastic scenery. Councillor Steve Sweeney, Calderdale Council’s cabinet member for communities, said: “Hosting such a major production is a huge success for Calderdale and I can’t wait for filming to start. “We are delighted to be working with The Forge Entertainment and Creative England to make this happen, and to secure economic and community benefits that will be felt for years to come.